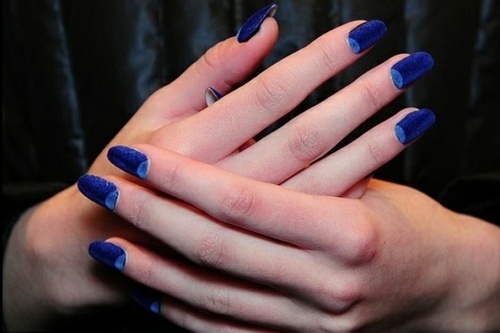 New Nail Trend: The Velvet Manicure. There have been a lot of interesting nail trends lately. Ciaté, the British nail brand who brought you the Caviar Manicure, is now taking us on another nail journey. I introduce you to... The Velvet Manicure. Crushed velvet right on your fingertips! Check out the video to see how it's done. I don't know how I feel about this one yet. There's something about fuzzy nails that makes me cringe lol. BUT if you love the idea, it would definitely be perfect to try out for Fall/Winter. The kit can be found at Sephora for $19. The Velvet Manicure.. Si or No? These are cool but way too expensive. We created a DIY velvet nails tutorial. All you need is polish and flocking which is exactly what Ciate uses.